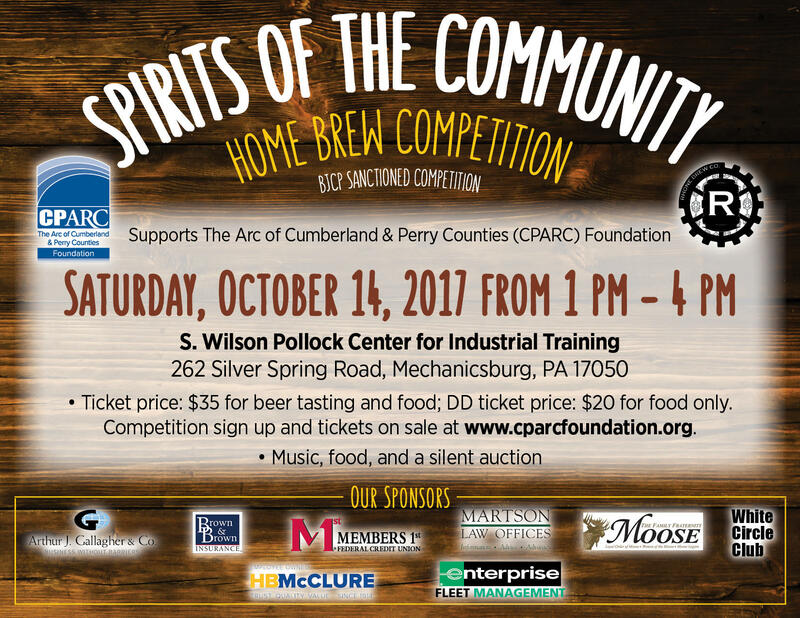 Please join Mellow Mink Brewing in supporting The Arc of Cumberland and Perry Counties Foundation’s “Spirits of the Community” pro beer tasting / BJCP home brew competition on October 14, from 1pm-4pm. We invite you to come and sample our spiced apple pie Berliner Weisse and dry-hopped Saison, all while enjoying additional food, beer, music, and a silent auction hosted by the CPARC. For more information and ticket sales, visit www.cparcfoundation.org.